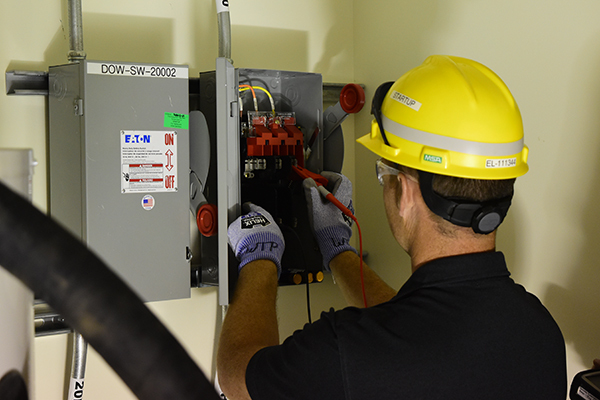 An electrician tests control panel switches in the Vit Plant's Analytical Laboratory. 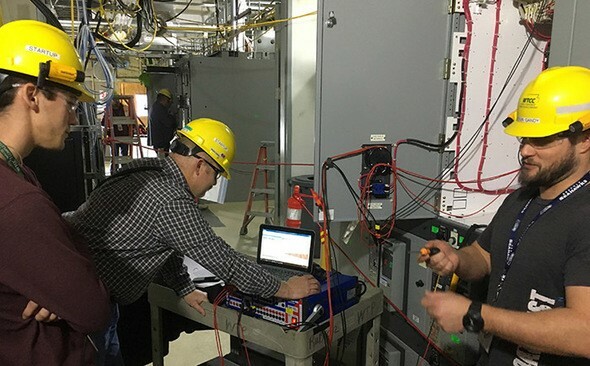 Full energization has been safely completed for the Analytical Laboratory, making it the first of the Vit Plant’s four major nuclear facilities to complete this important step toward startup of the Department of Energy's Direct Feed Low-Activity Waste (DFLAW) vitrification approach for treating low-activity tank waste. Read more about this important progress at http://bit.ly/LabEnergization. Employees prepare to lift a 40-ton process cell pipe rack into the effluent management facility. Read more about this progress at http://bit.ly/EMFStrategy. An employee prepares to perform work at the effluent management facility. 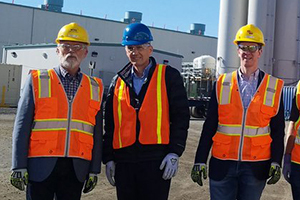 The Washington State Department of Ecology has granted the permits needed for the Vit Plant to finish construction of an effluent management facility (EMF). 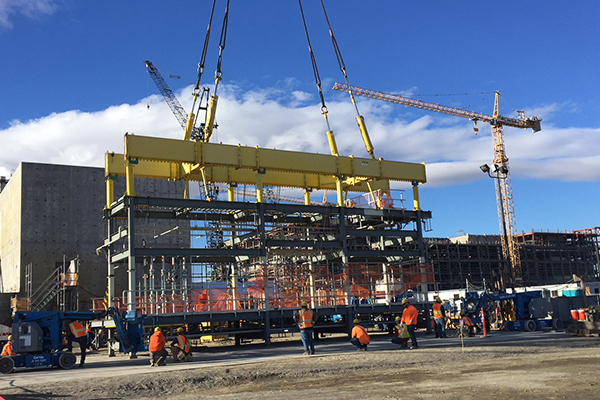 EMF is one of 22 Balance of Facilities support building required to deliver the Department of Energy’s (DOE) Direct Feed Low-Activity Waste (DFLAW) vitrification approach. The permits enable Vit Plant workers to install mechanical and piping systems inside the EMF. This work includes process tanks, pumps, pre-fabricated piping modules, heating, ventilation, air conditioning ducts, and other equipment. Read more about this progress toward treating tank waste at http://bit.ly/EMFPermits. The Tri-Cities Area Journal of Business featured the significant community contributions made by Hanford contractors. 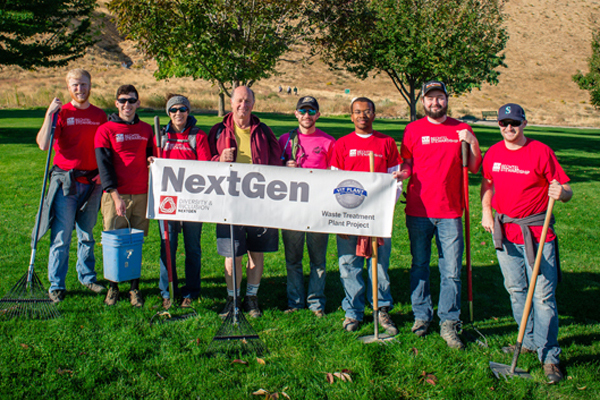 Employees from Bechtel, Mission Support Alliance, Washington River Protection Solutions, and CH2M Hill combine to donate millions of dollars and countless volunteer hours to improving the community and the lives of their neighbors in the Tri-Cities region. Read the article at http://bit.ly/TCAJOB. Did you know one pint of donated blood can save up to three lives? 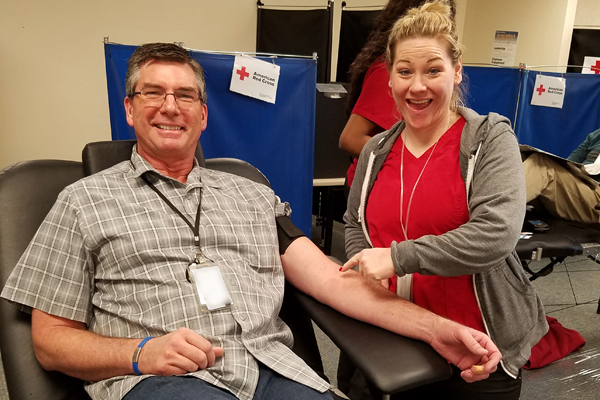 Vit Plant employees recently donated 51 pints during two project blood drives to help the American Red Cross with an emergency shortage. 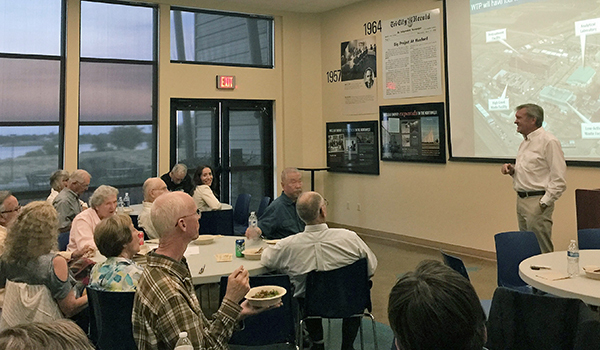 Ian Milgate, manager of Engineering and Design Authority at the Vit Plant, recently presented to the American Nuclear Society Eastern Washington Section on Bechtel 's plans to tackle challenges through building the world’s largest radioactive waste treatment plant. Milgate is responsible for the Vit Plant’s detailed design and all engineering, procurement, and construction deliverables that flow down from the design. 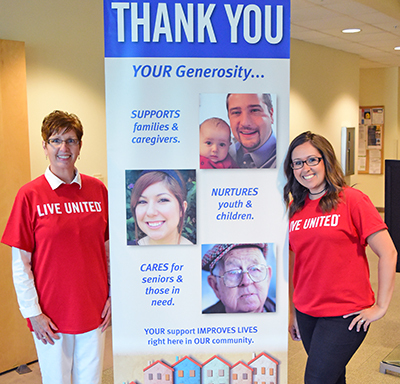 Vit Plant employees, together with contributions from Bechtel and AECOM, raised $344,256.69 to support local organizations during the 2018 United Way Campaign. The Vit Plant was a community pacesetter for the campaign, and the amount raised set the standard for other organizations to meet or beat the efforts. The contribution included nearly $9,000 raised from various employee-led fundraisers across the project, such as "Flamingo Flocking" where a donation sent a flock of flamingos to a coworkers' office. The donated funds support the United Way of Benton and Franklin Counties. The Vit Plant will be looking to fill many job openings over the next several months with Bechtel and AECOM. Specific emphasis in Engineering (Electrical, Nuclear, Systems), Procurement & Subcontracts (Supplier Quality, Purchasing, Subcontract Administration), and Startup. Visit www.hanfordvitplant.com/job-opportunities for current openings and check back often for new postings. Read Tri-City Herald coverage of the hiring at http://bit.ly/2z7swav. 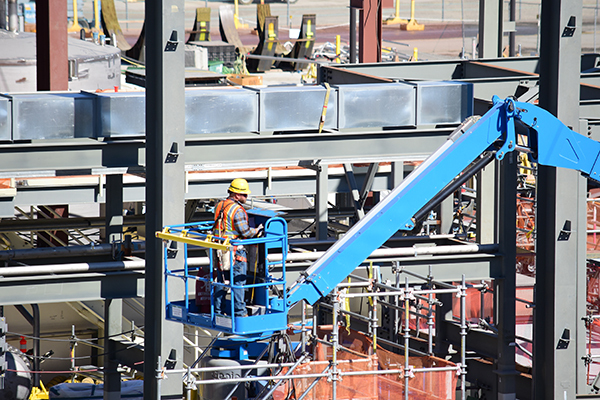 The Vit Plant is a stop on the Hanford Site Cleanup Tours that are open to the public and also hosts VIP visitors who come to learn about the first-of-a-kind project and observe the progress. Recently, Congressman Dan Newhouse and Congressman Derek Kilmer visited the project as part of a Hanford Site tour. Check out this graphic from the Department of Energy's Office of River Protection for a visual understanding of the Direct Feed Low-Activity Waste (DFLAW) process. 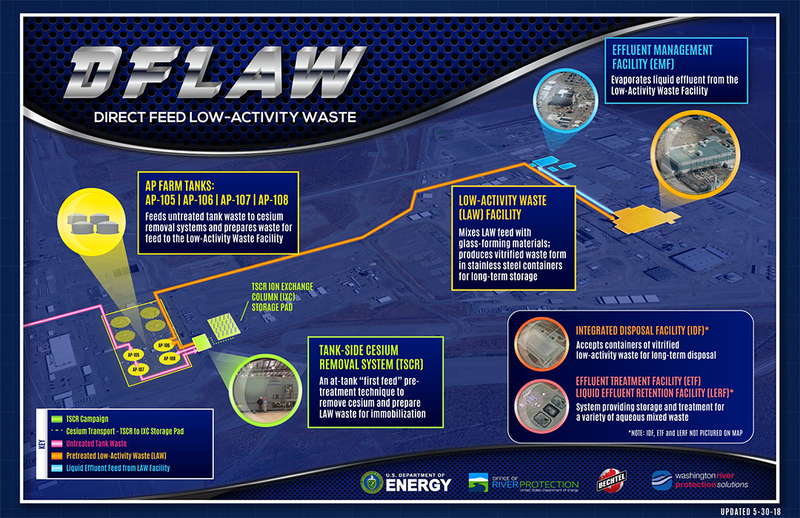 To learn more about DFLAW, visit https://www.hanfordvitplant.com/direct-feed-low-activity-waste-dflaw. Copyright © October 2018 Bechtel National, Inc., All rights reserved.